In theory it can sound sensible to charter your boat out when you aren’t using it, to at least offset some running costs. As with shared ownership this is more common with sailing boats, and yacht charter companies are often happy to take new privately-owned boats into their fleets. 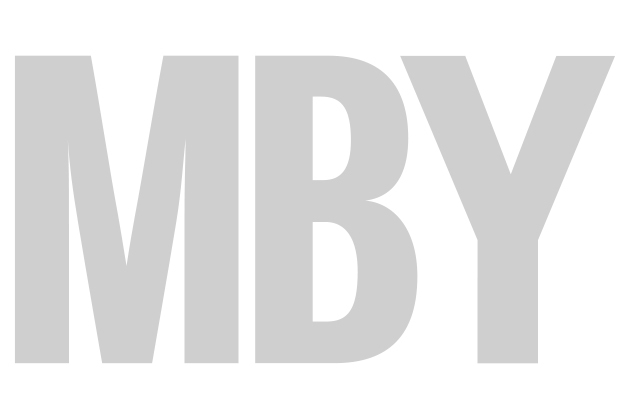 While you see fewer opportunities for motor boat chartering and the damage risks are greater, there are various ways to combine private boating with some chartering to help defray expenses. Much depends on your attitude and relationship with your boat. Many owners are so fond of their boats that they couldn’t possibly imagine strangers steering or manoeuvring their precious baby, let alone using the bedrooms and loos. 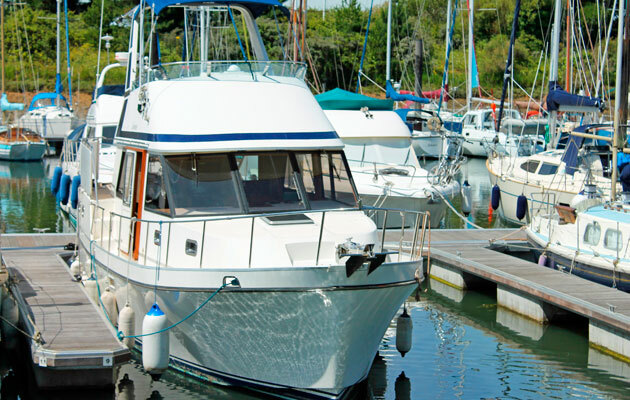 But if you can take a more detached view of your boat as a depreciating asset, some possibilities open up. Commercial sailing charter fleets are often run on similar lines to hire car fleets, buying in new boats at keen purchase prices and running them for a few years before selling them on. Some motor boat chartering works the same way, but with the higher purchase and running costs it can make financial sense for agents to take on privately owned motor boats for charter, especially in the Med. 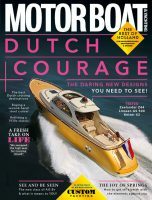 Most fleet managers prefer popular makes of boat less than five years old, which are comprehensively equipped. Bénéteau and Jeanneau boats always charter well in the Med, so if you own a recent Bénéteau Swift Trawler or Jeanneau Prestige or, better still, are planning to buy new, a fleet manager may be interested. Croatia has a well-developed motor boat charter market and can be a good starting point. There are also Caribbean charter companies who handle privately owned motor boats, particularly in the British Virgin Islands (pictured above). The first step is to make contact with a suitable fleet manager, most of whom are based abroad. For example, NCP (Nautical Center Prgin) is a major charter operator in Croatia and there are similar outfits in Greece. For practical advice and a possible introduction I would talk to an experienced UK charter agent, such as Nautilus Yachting, based at Edenbridge in Kent, who are agents for both NCP in Croatia, Virgin Traders in Tortola and several Greek operators. Sometimes a simple and mutually beneficial arrangement can be set up if you find a friendly agent near where your boat is moored whose competence you trust. For example, I know a fully qualified skipper down in Cornwall, Colin Pugh, who runs an attractive berthing facility up the River Fal at Smuggler’s Moorings. Sometimes Colin needs to charter a motor boat for summer visitor pleasure cruises, or for more commercial trips involving corporate team building or helicopter rescue crew training. When Colin takes a motor boat out on charter, her owner can receive up to £300 per day. Sometimes a boat is booked out for a week, a worthwhile contribution to running costs. Among the motor boats Colin occasionally uses are a Seaward 25, a Rodman 1250 (pictured below) and a Cockwells 37 classic launch. It might be worth talking to him if you have a suitable boat that could earn a handy fee from time to time. 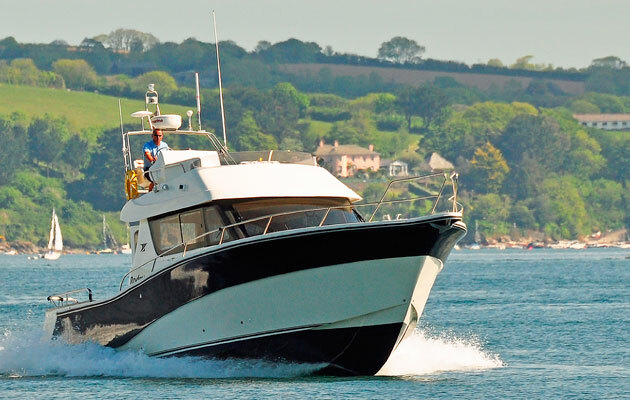 Crucial factors are a trusting relationship between boat owner and charter agent, and a boating area with plenty of sheltered water suitable for day cruising – Plymouth Sound, Dartmouth, Tor Bay, Poole Harbour and the Solent are other good examples. Letting your boat out for skippered day trips is not such a heavy commitment as being fully set up for holiday chartering. If you own a newish displacement boat with a single engine and modest cruising speed, hiring her out on inland waterways can be a useful earner. The trick is to team up with an experienced local agent. One of the most interesting hire companies I know is France Afloat, based at Vermenton in the heart of the Burgundy waterways. Run by two English couples, France Afloat has a large hire fleet and is an agent for Linssen Yachts – comfortable Dutch steel boats just right for continental coastal and waterways cruising. With their Linssen 34.9 Angela (pictured below) based at Vermenton, Nigel and Lyn have been exploring Burgundy for the last three years. They usually take two weeks in May and two in September. For the rest of the season France Afloat hires out Angela. There is no fixed timing for cruises and they could use the boat for four weeks in a block or take four separate weeks. As Nigel and Lyn run their own business, time is limited and the system works well for them. Next season they will move the boat to another France Afloat base in the Midi and will be able to cruise the southern waterways and glorious Camargue. Last year Angela was on hire for all but two weeks from early May to mid-October. Nigel and Lyn receive about a third of the hire fee, with running costs and maintenance covered by France Afloat. When they bought Angela, Nigel and Lyn signed a five-year contract. When it ends they could take full possession of the boat and sail away, they could sell her (Linssens hold their value well) or they could extend the contract a few more years and continue as they are. Private owners or professional operators can promote charter boats on internet booking websites or create their own sites. However, it’s important to appreciate that market standards are high and considerable work, knowledge and expense is needed to equip and ‘code’ your boat for charter in whichever country she would be based. Insurance will also be pricey. The internet charter booking agent boatbookings.com has an established reputation, so if you are seriously thinking about advertising your boat this way speak to its managing director Capucine de Vallée (Tel: +44 (0)20 7193 5450 or Skype: lacapucine88) or one of the local agents. Click the site for information on how to list your boat, though the cost of gearing up for chartering may put you off the whole business! One relatively new idea for generating revenue is to offer your boat for rent simply as an attractive floating cottage, with no question of her ever leaving the moorings or even starting up the engines. Sometimes we forget how novel and enchanting it is just to sit aboard a boat in an attractive marina and watch all the goings on, while actually spending a night aboard can be magical for anyone completely new to the world of boating. There’s a good example in Emsworth Yacht Harbour, where Vic Aspey lets his Golden Star 35 Ariane out for overnight accommodation. While Ariane (pictured below) has to be coded for day charters and carries public liability insurance, the logistics of servicing B&B guests aboard a motor yacht are simpler than running charters. However, your marina has to agree to the boat being used in this way. For more information contact Vanessa at Emsworth (Tel: 01243 430892 Email: vanessa@mcpmarine.com). Some owners handle bookings and changeovers themselves, using internet marketing or classified magazine ads. If your boat and mooring are stunning enough, you might involve a local ‘country cottage’ agency.